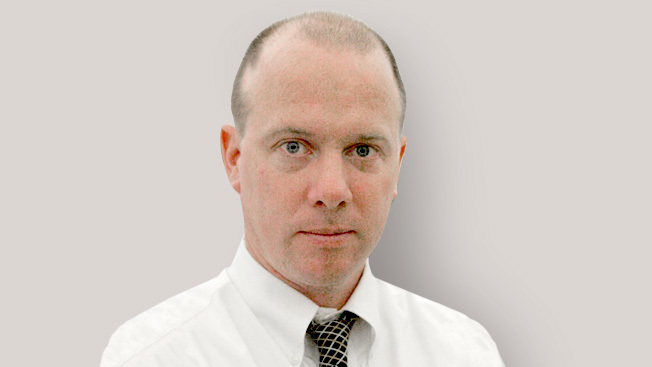 New York Times restaurant critic and former culture editor Sam Sifton is getting ready to take the reins at the paper's national desk, under the Times' new editor, Jill Abramson. In an interview with Adweek, he said he's looking forward—with a "pleasant terror"—to the job ahead, reflected on the one he's leaving behind, and considered the fate of his favorite restaurant list, the "Sifty Fifty." What are your first moves going into the new job? I have to finish up the old job before I answer that question. As we say in the dining trade, I'm still cleaning my plate. I have a number of reviews to finish up before I join the national desk. I'm looking forward to getting there, and when I do it's going to be job one to meet with the correspondents and editors and figure out where we're at and where we're going to go from here. I'm still wearing my big lobster bib, and one doesn't want to do both jobs badly. Are you apprehensive about going from dining critic to the national editor? No. One of the great things about working at The New York Times is that you can do a lot of different things. I would be crazy to say that I know exactly what I'm doing, and exactly what I’m going to do. I don't. I'm filled with a pleasant terror about the unknown, about what's going to happen—a pleasant terror that, I think, is similar to the one reporters and editors and journalists feel every day about what's going to happen tomorrow. I certainly am familiar with running a news desk—not a national news desk, not even a metro news desk—but a large and serious culture desk at the Times that supported a lot of reporters and a lot of critics in a lot of parts of the country. Did Jill and the others lay out a vision for what the section should look like? Sure. It's Jill's newspaper, and [managing editor] Dean [Baquet's] newspaper, and I'm here to do their bidding. This is an ongoing process, but I've been meeting with Jill and Dean—and I'm looking forward to more meetings with them—about contours of coverage. Do they envision changes for the national section? Rick Berke, [assistant managing editor], built an unbelievably good desk. I look at that desk and any apprehension I might have about going on the desk, I'm buoyed by those men and women—both here in New York, and out in the bureaus. I certainly don't have any plans and I haven't heard any plans to change that. We are, I think, in pretty good shape. What are the pressing issues for the national desk over the next 365 days? We have to see what happens. But we have a presidential election coming up, we have jobs issues that we're going to have to cover, the environment is a big issue that we're going to have to cover, the economy is a big issue that we're going to have to cover, and how Washington policy affects the 50 states of the Union. So, in other words, you have your hands full? Yeah. We have our hands full. And I haven't even gotten the weather report yet. Are you going to miss restaurant criticism? I love eating in restaurants and I love covering restaurants in New York. It's the most vital restaurant city in the world. To be able to observe the culture of New York City through its restaurants has been a great pleasure. It's going to be a drag not being able to do that every night. But to trade that in for the chance to help the amazing reporters and editors on the national desk cover the nation? Holy cow! There's no comparison. And I'll get to be a regular in a restaurant again, which is the thing that you really miss. What was your favorite review? I've still got a few left, so I'm sure that one of those will be my favorite review. What happens to the Sifty Fifty? The Sifty Fifty becomes the Fifty States of the Union. I don't know what happens to branded content when you don't have a critic who rhymes with "fifty." We'll come up with something. I would love to have a restaurant in every state—that would be great. It would have to be the Sifty Fifty-One, for the District. Who's the best candidate to fill your shoes as restaurant critic? That's not my job. I know they'll make a great decision.